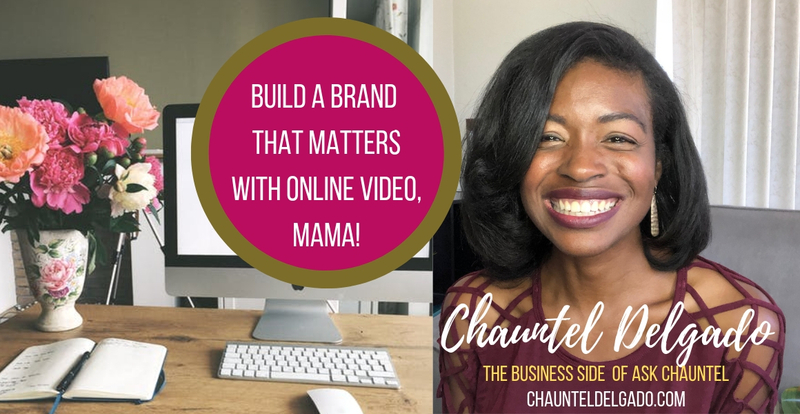 Hey Mompreneur, Chauntel Delgado helps female entrepreneurs like you leverage online video to build a business and a brand that matters, to do more of what they love, sooner. If you are a girl boss or work from home mom looking to learn how to build a solid brand on Youtube, then you are in the right place! Producing unique content can be so creatively fulfilling. However, if you do not know how to brand and market your YouTube channel, then you will not reach the audience that you were meant for. Don’t allow your videos to fall through the cracks. Learn the mistakes to avoid when building your YouTube channel. It is still possible to make your mark on YouTube and stand out on the platform. If you want to begin strategically building a brand identity that will set you apart, then start here. This is a community of support for women just like you who are ready to build a business and a brand that they love with online video. It also provides support of the personal challenges that we face in life, motherhood, and female entrepreneurship. Becoming a Jewel will also help you, stay-up to date on the valuable content Chauntel has for you! If you are stumped about why you are not getting more views and subscribers, and you want to know what you need to do to get your channel on the right track, then sign-up for a Channel Review! Let’s select the option that will best assist your channel in getting out of a rut and moving toward your goals! We have a monthly one hour live group chat that I lead where you can connect with other Jewels. I also provide one-on-one coaching through email. I have been in the trenches of YouTube for 10-years, and I am here to help you develop a brand that matters with online video so that you can do more of what you love, sooner. Let’s avoid common pitfalls that new YouTubers make and start your channel off right, from the beginning. See my advice in action on my YouTube channel where I produce free content for my subscribers. If you enjoy my free content just imagine how much value you will get out of my master-course, coaching and consulting. I would love to have you apart!